For ultimate portability, top headphone manufacturers, such as Apple, Bose, Sennheiser and Audeze, have developed in-ear headphones and earbuds for those on the go. 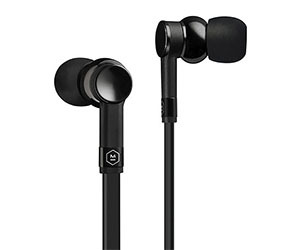 In-ear headphones, or earphones, are inserted in the ear canal for substantial noise reduction due to the seal created between the earphones and the corresponding ear canal. Earbuds, on the other hand, rest on the outside of the ear canal and rely more on electronics for noise cancellation, since users aren't sealed off from other sounds. This makes earbuds popular among those using the devices while exercising or navigating through busy streets in order to hear outside sounds when necessary.